I believe I missed this from my earlier news. The P11S1E is a version of the Sony Vaio P11 that will be available in Europe. Well, at least UK and DE for sure. I have a press release here. It’s smaller than a notebook and smarter than a smartphone: the colourful VAIO P Series from Sony is your perfect partner for on-the-move computing. Weighing just over 600g and slipping effortlessly into a bag or jacket pocket, the new VAIO P Series gives you all the power of a fully-featured Windows® computing experience, and so much more. 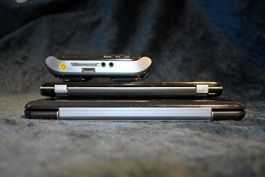 It’s the first VAIO designed for simple operation if you’re standing or walking. The central trackball is complemented by an additional touchpad and mouse buttons. Duplicating the main controls, they’re located at either edge of the screen for comfortable operation with both thumbs while you’re holding the computer in two hands. 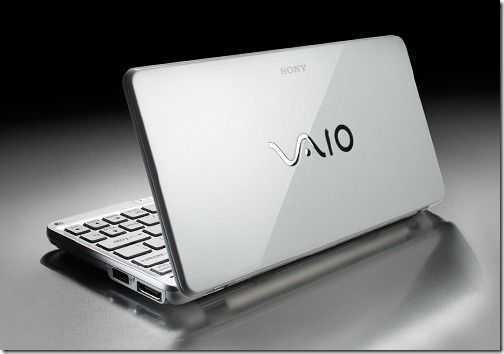 The VAIO P Series is the first notebook from Sony with built-in GPS and a new Digital Compass. Perfect for telling you where you are and what’s happening around you, they can help you find your hotel or a nearby restaurant if you’re standing on the street corner in an unfamiliar city1. Brand-new VAIO Location Search software offers a real-time map view without tying up your web browser. Your map position and orientation are displayed along with nearby Points of Interest and even local weather conditions. The ultra-light notebook’s ‘on-the-go’ credentials for travellers are boosted with Everywair 3G on-board, giving high-speed connectivity to mobile networks (where available). The new VAIO P is the first notebook from Sony with a built-in accelerometer that responds to physical movements. Just give it a gentle shake to ‘flick’ through pictures or the pages of a PDF document, or to navigate back and forth through your web browsing history. 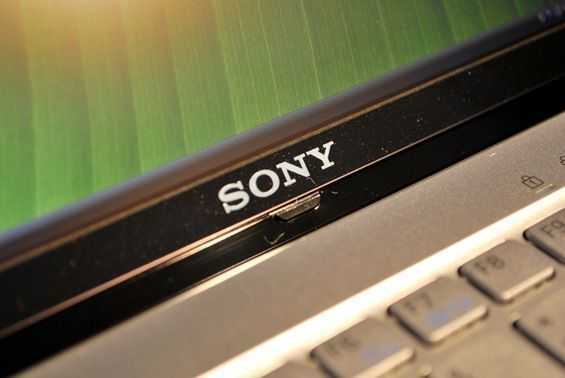 The sensor also recognises when the VAIO P Series is turned on its side, automatically ‘flipping’ the screen for easy reading of documents or web pages in portrait mode. The notebook’s additional mouse buttons are perfectly placed for comfortable page-turning when you’re reading in portrait position â€“ just like a paperback book or magazine. The new VAIO P Series is beautifully designed for easy operation, with a comfortable full-pitch keyboard for easy typing, plus a bright, extra-wide VAIO Display Plus screen that’s ideally proportioned for viewing movies or two web pages side-by-side. There’s also an ambient light sensor that dims screen illumination for comfortable viewing while saving power. For extra convenience, dedicated buttons are provided for Quick Web Access and one-touch access to VAIO Care. There’s also a handy new Change Resolution button; instantly select a larger font size for easy on-screen reading, or choose maximum detail for HD movie viewing. Available in five colours (black, white, pink, green and orange), the new VAIO P Series is complemented by a choice of stylish accessories that includes a distinctively perforated silicone slip case and carry strap. 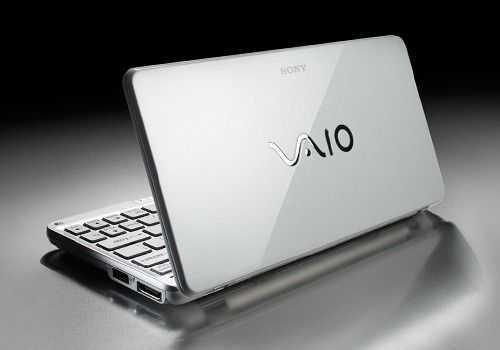 The new VAIO P Series ultra-portable notebook is available from Sony Centres and www.sony.co.uk from June 2010. The P11S1E will come with the 1.8Ghz Z540 CPU, 2GB RAM, 64GB SSD and HSPA 3G. As for pricing, I’m excited to see that Chip.de is reporting pricing of around 900 Euro. For such a leading edge design (in terms of technology and sizing) that’s really not a bad deal. Consider the ViliV s7. The 1.3Ghz version with HSPA runs at a similar price. 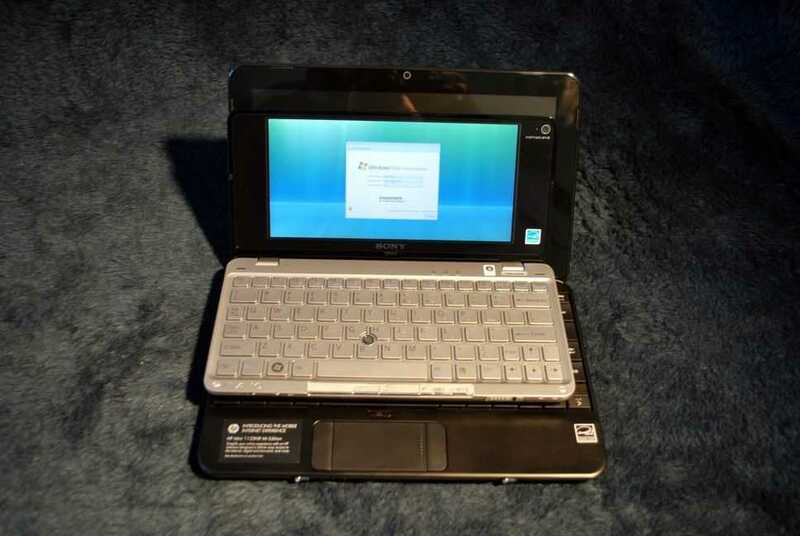 Stylish 640gm 8” UMPC with 3G, GPS for just 470 Euros…with a Gotcha! 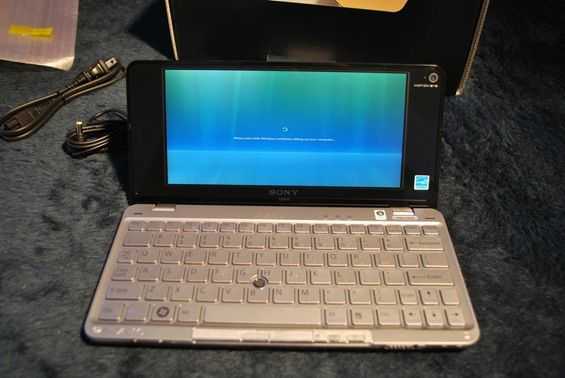 It’s a Sony Vaio P and in my local online stores I’m seeing this ultra-mobile PC for just 470 Euros. 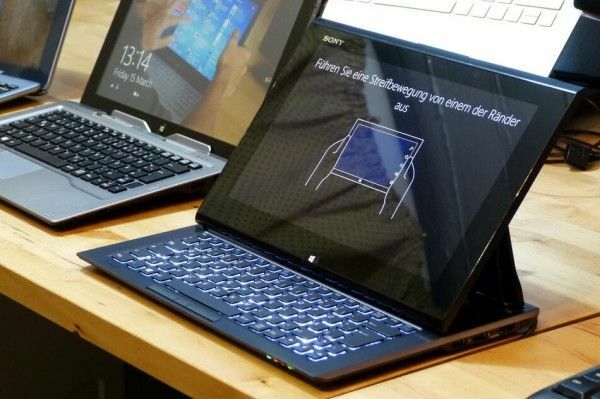 It’s a shock to me because the last time I looked, the Sony Vaio P’s were selling for near 1000 Euros. With Windows Vista Home edition and a hard drive, you might want to think about performance but even so, it’s rare to find a stylish, 3G-enabled ultra-mobile PC at for this price and weight. Our full review of the P-Series is available here. The ‘gotcha’ is that this offer only seems to be happening in Germany so maybe Sony Germany overestimated the stock requirement and have a few thousand QWERTZ versions in store somewhere. Clearly they can’t be used for any other country and they need to be shifted to make way for Windows 7 versions. 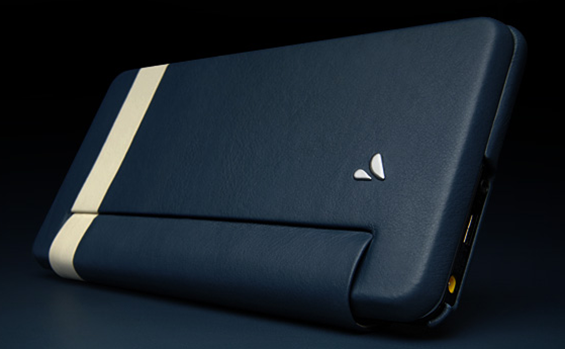 Vaja hand crafts a lot of really nice looking and premium priced gadget cases among other things. 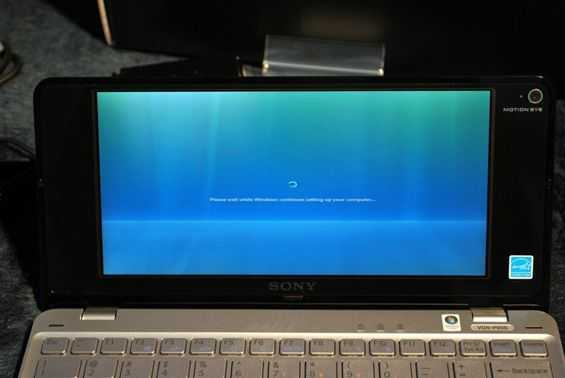 This time they’ve crafted up something wonderful looking for the VAIO P [Portal page][review]. 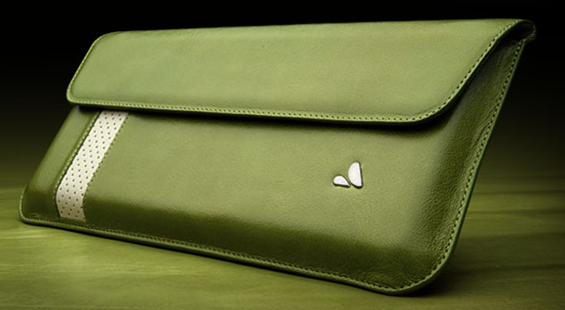 With two different styles to choose from, you can wrap your VAIO P in fine leather and make it even more expensive. 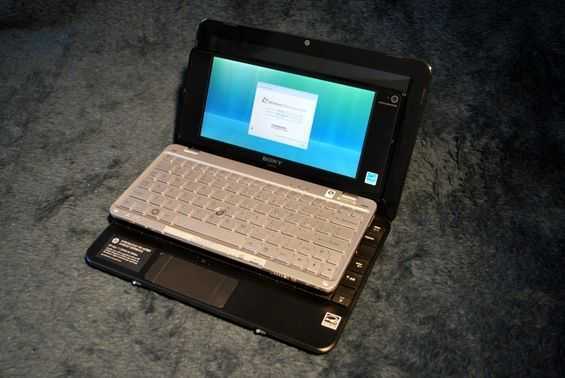 There is a full body case (pictured above) and a sleeve (pictured below) that stays on the VAIO P while you use it. There are actually three variations of the full body case. You can customize either of the case styles to your personal color preferences. The sleeve costs $120, and there is one full body case that can be bought for $180 and will ship in 3 business days. All the other styles get customized by you and will take around 20 days to make and run your $200. All of the case options look incredibly beautiful and I should warn you now that if you don’t want to be tempted to drop $200 on a case for your VAIO P, you should not click through to Vaja’s site as their wares might be too appealing to turn down. Don’t feel safe even if you don’t own a VAIO P, they make plenty of other cases as well. Honestly, these cases look magnificent in my opinion. The Sony VAIO P is an impressively small unit that manages to pack some relatively powerful hardware into a small, envelope shaped footprint. 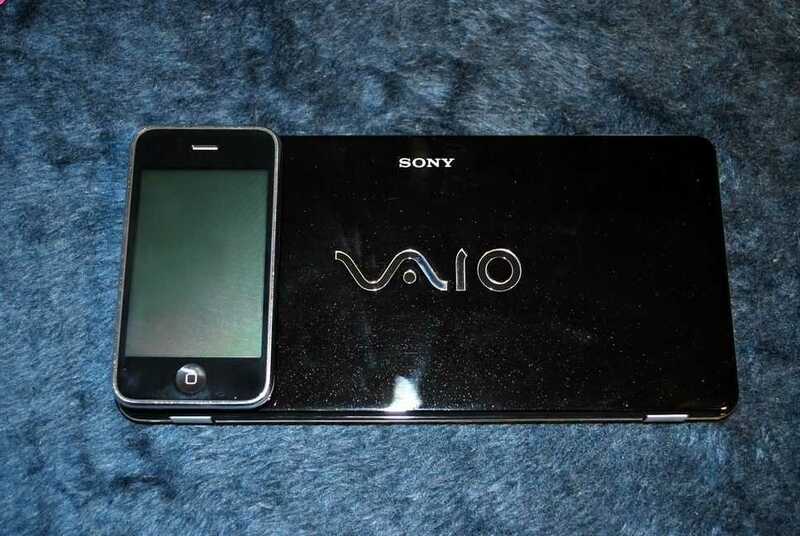 Though it may not be practically pocketable like Sony wanted us to think, it is extremely light weight and slim. Let’s begin with the hardware tour, as usual. 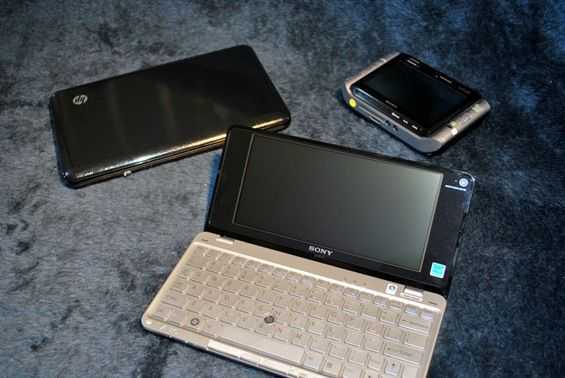 Front (right to left): Wireless radio switch, SD card slot, Sony Memory Stick slot, power slider, battery LED indicator, SSD activity LED indicator. Right: Kensington lock, USB 2.0, port replicator connector. Left: A/C adapter, USB 2.0, 3.5mm headphone jack, passive cooling vent. As you can see above, I have several comparison shots of the VAIO P with the HP Mini 1000 [Portal page] and the Sony VAIO UX180 [Portal page]. 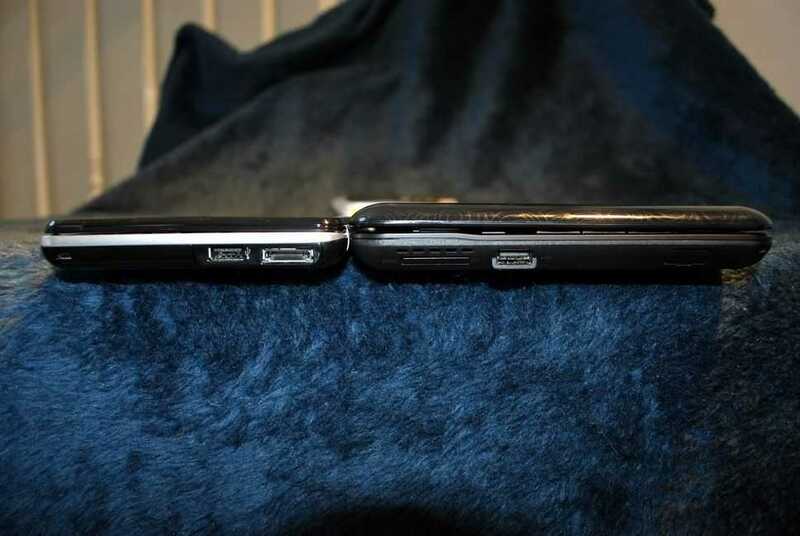 It wasn’t until I set my iPhone down next to the VAIO P that it really hit me. 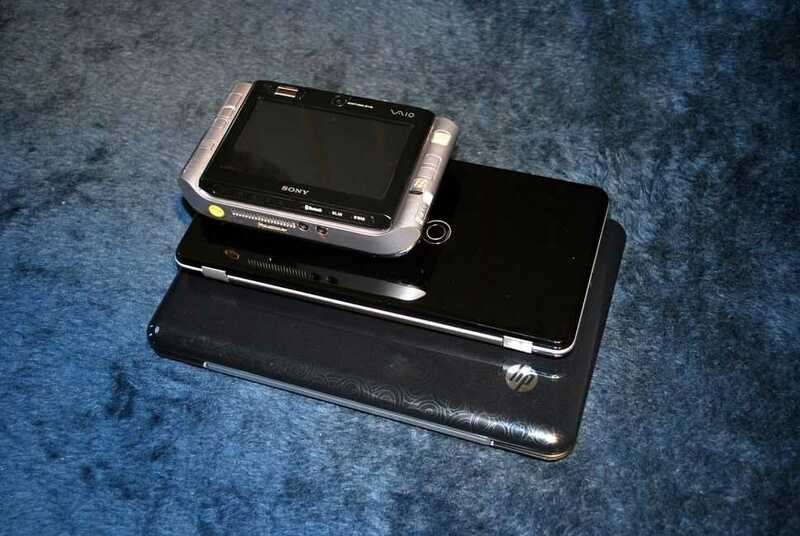 The VAIO P is really quite tiny. 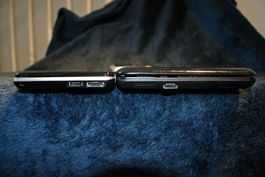 If you can imagine, it is just as long as the iPhone, but wider. It has the footprint of a super wide iPhone. 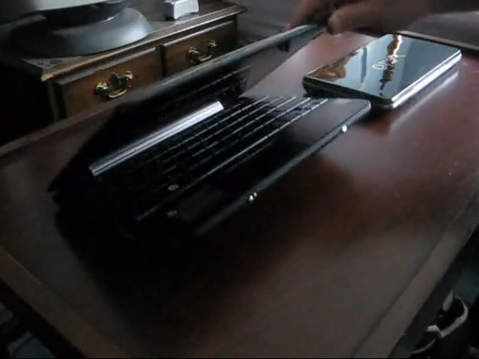 It isn’t quite as thin as the iPhone, but it is certainly the thinnest mobile computer I’ve ever used. 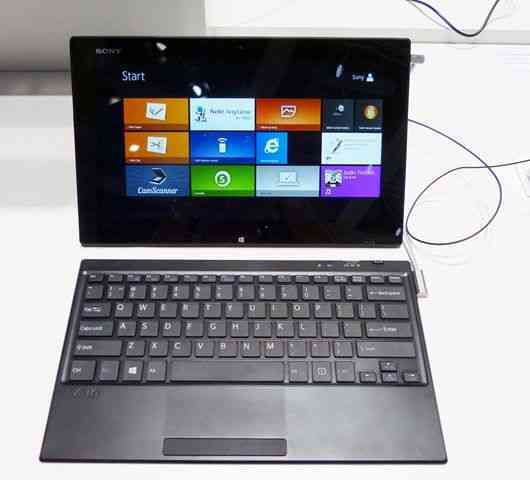 Find more detailed specs on the VAIO P’s Portal page. 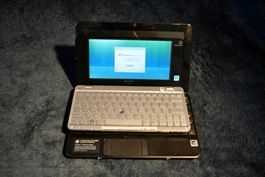 So we have the top end VAIO P running Windows Vista. Certainly, because the OS is the center of everything that happens within the computer, people tend to get concerned when a company makes the choice to put a heavier OS (like Vista) on a mobile device. Luckily, the VAIO P has the specs to run the OS like it should be run, in the background, and not taking up the majority of resources. As the VAIO P is sitting here idle, the task manager is reporting that 1GB of RAM is in use. Now the question is, do you see the RAM as half full, or half empty? In all seriousness, I wouldn’t want to be caught running Vista with just 1GB or RAM, but then again, maybe that’s why Sony opted to put 2GB of RAM in the VAIO P. It isn’t as bad as it sounds though, if you were running less than 2GB of RAM, the OS would probably make more utilization of the page file (which would be a nice alternative if you are using an SSD). But in the end, Vista performs well visibly, so long as you don’t turn on Aero. 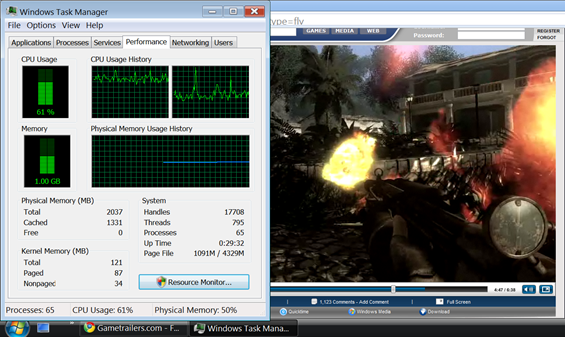 Windows and apps are quick to load with no hang time. Turning on Aero really hammers the system and drops performance quite noticeably. I would attribute this to the particular processing that is required to render the transparent Aero effect (and with no dedicated GPU, all of that processing has to be run on the CPU). 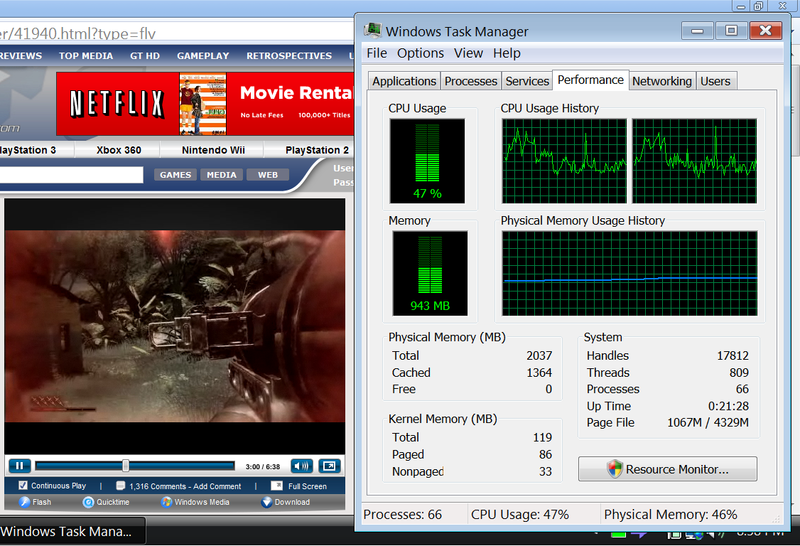 Don’t worry though, the VAIO P is quite snappy when it comes to other tasks. Have a look at the performance section if you are interested in some additional details. As I mentioned, the VAIO P has a zippy 128GB SSD for storage. However, out of the box my VAIO P only had 92GB available and only displays as having a maximum of 119GB. This is after Dynamism installed an awesomely bloatware-free image of Vista. 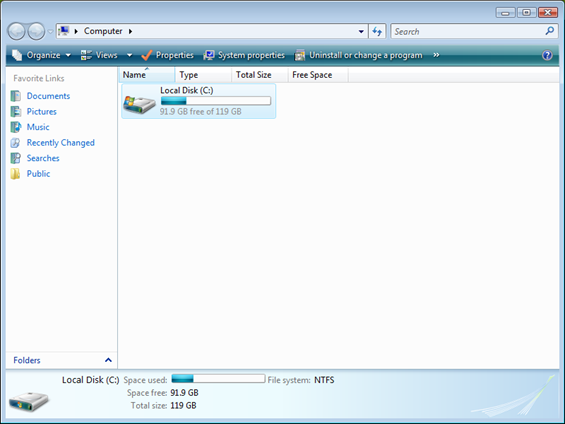 So where is the extra 9GB of space that seem to be missing from my drive? Sony has a good track record of installing recovery partitions on computers that don’t have disk drives. This is useful because they don’t need to ship a DVD with the computer, and you don’t need to own a DVD drive. 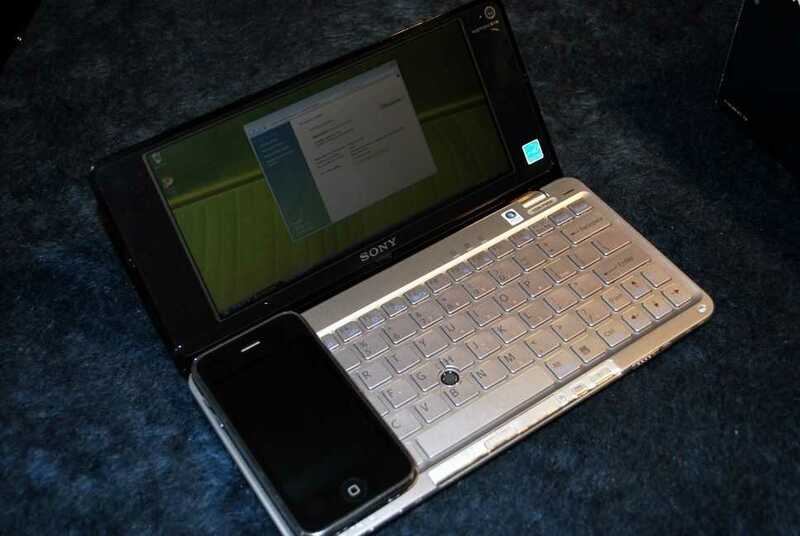 I’ve used the recovery partition on my Sony VAIO UX180 many times with great success. In fact, I used to do so on a fairly regular basis to keep my computer running in tip-top shape. There are ways to reclaim that space if you really want it, but for the majority of users, I would leave it there in case you want to restore back to the VAIO P’s factory state. But what about the other 27GB of space that is already used on the drive? There are several things that are most likely to be consuming this space. First and foremost is the operating system itself. Vista certainly isn’t the slimmest OS in town. Second is probably the page file. Beyond those two, there is always the recycling bin, and hibernation file. All of these can be trimmed down, it is just a matter of what you are willing to give up. I always have a feeling in the back of my mind that dropping Vista in favor of XP on the VAIO P would take it from ‘better-than-netbook’ performance, up to ‘real-laptop’ performance. So as I mention in the video, this was easier to explain with a video than writing it, so consider this a video post! 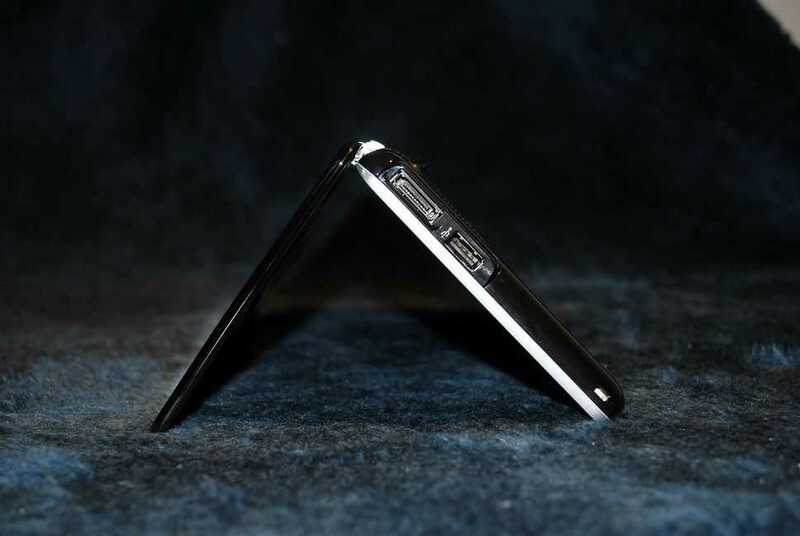 How about you dear readers; what is your preference on hinge strength and what advantages does it offer? One of the most important aspects of the Sony VAIO P is its tiny size. Sony always pushes the envelope when it comes to seeing how small they can package a full PC. Their VAIO UX line and ultra-portable laptops are a fine example of that. Sony has taken the top end of the Atom platform, and put it inside an almost envelope sized package along with some premium hardware. The top end VAIO P that I’m evaluating (thanks to Dynamism) runs at 1.86GHz, with 2GB of RAM, and a 128GB SSD. People are immediately impressed by the size of the unit, and even more so by the weight. 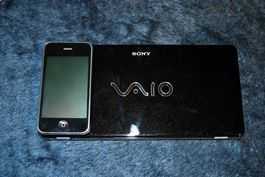 The VAIO P ways 1.4 pounds. One friend saw the tiny computer and simply said â€œIt shouldn’t be that smallâ€¦ inch. Making something small doesn’t mean its good, it still has to be usable. 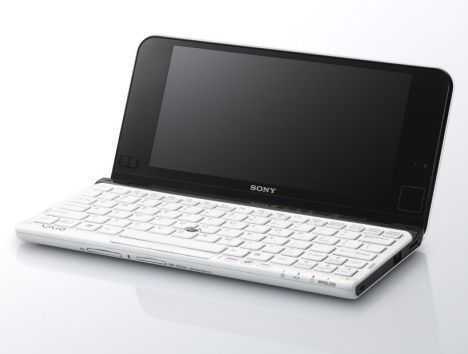 Sony designed the entire device by starting with the keyboard first and moving on from there. 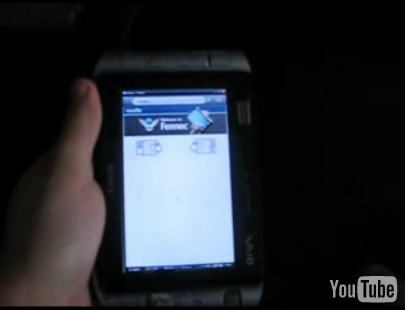 That explains the strange aspect ratio of the screen (2.08:1). 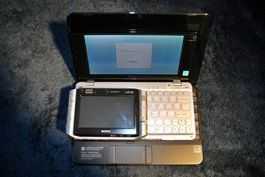 They crafted the smallest usable keyboard they could to establish the footprint of the device, then attached a screen. Lets talk about the screen. The screen’s thickness is definitely best measure in millimeters. It is really thin and really light. There is a webcam built into the bezel of the screen on the right side. 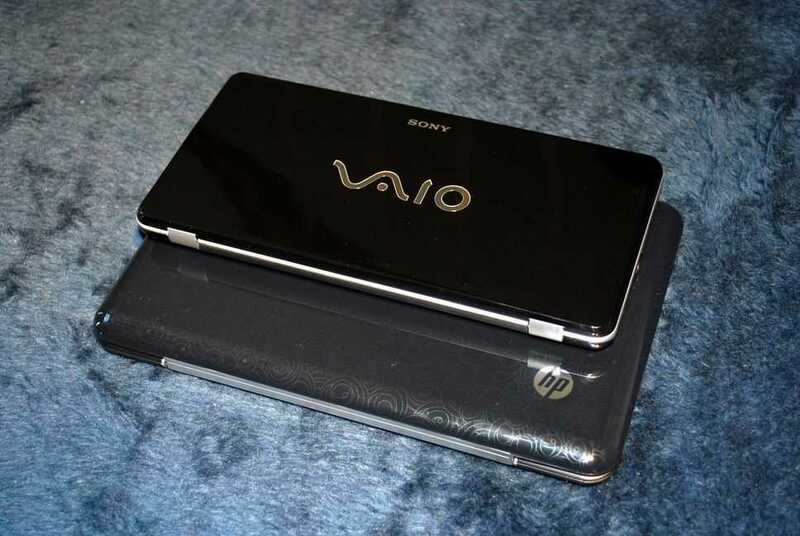 I really like the level of hinge strength that they established with the VAIO P. In my opinion, the best hinge strength is a level that doesn’t allow the body of the device to be lifted up while you try to get the screen open. On the VAIO P it is nearly a perfect example of that description. One you give the screen a little nudge, you can grab if from its farthest point from the body and open without even tipping the body up. The best part about this is that because the screen is so light, there is no wiggle from the body of the device, despite the low hinge strength. The hinge gets tighter right as the screen closes which keeps it shut when folded down.